After months of waiting, Tesla Model 3 owners can now get the Summon parking feature, which has been available on the Model S and Model X for some time. Summon allows a car to park itself without anyone in it. The feature allows cars to be parked in tight spaces where the doors can’t be opened, and also creates plenty of opportunities for showing off. Summon is part of an over-the-air software update for the Model 3 Tesla announced late last month. Cars must have Tesla’s Autopilot driver-assist system and its requisite hardware suite in order for Summon to work, but it seems likely that most Model 3s built so far are so equipped. The software update also adds Wi-Fi access and Cabin Overheat Protection, which automatically prevents the interior temperature from exceeding 105 degrees Fahrenheit for up to 12 hours after the driver exits the vehicle. Given the Model 3’s vast expanse of glass, which can let in a lot of heat, that is probably a handy feature to have. Tesla recently reached a major Model 3 production milestone. The company has been aiming to produce 5,000 of the electric cars per week, but pushed the deadline back multiple times. Tesla said it produced 5,031 Model 3s in the final week of the second quarter, just barely achieving its goal. 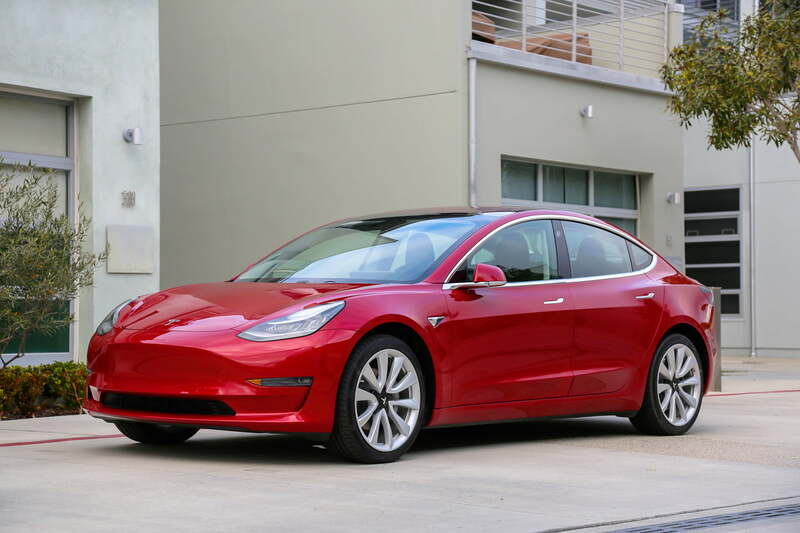 The company built a total of 53,339 cars in the second quarter, of which 28,578 were Model 3s. Tesla said this was the first time Model 3 production has exceeded combined production of the Model S and Model X. The company is now aiming to build 6,000 Model 3s a week as it continues working to fill a backlog of reservations (estimated at around 420,000 at the end of the second quarter) and fulfill Musk’s dream of becoming a high-volume automaker. But to achieve the 5,000-unit goal, Tesla took some unusual steps, like setting up an assembly line in a tent outside its Fremont, California, factory. Tesla said that was just a move to achieve its production goal more quickly, but it led analysts to question whether the company can build 5,000 cars a week consistently.